For information about piano lessons, call me at (252) 354-4187 or send me an email at teresamorrisnc@gmail.com. 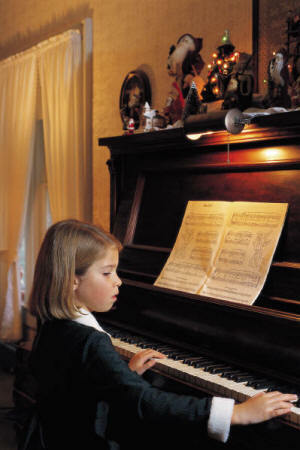 Once upon a time on just about any given Sunday morning, evening or Wednesday night, regardless of the denomination or the church where one attended, a young person could be called upon to play the piano without hesitation for either worship service or Sunday School. There was a real sense of joy in witnessing a young person within the respective church having been “gifted” with this talent and freely sharing his/her it with others, whether playing a solo, accompanying the choir, trio or quartet. These days, very few young people attending area churches along Bogue Banks know how to play the piano. Few are either comfortable enough or have the training to equip them to play the piano upon a moment’s notice for worship services. It’s not unusual to see Help Wanted advertisements in local newspapers across eastern and coastal North Carolina where local churches are in such dire need of a piano player or part-time piano player that they are having to “advertise” to the public at large. My desire is to help inspire local churches to strongly encourage not only young people but adults at large to take piano lessons. Imagine the joy in knowing how to play the piano. My goal is to help students of all ages develop their gifts. This includes strengthening skills in sight-reading, expression, creativity, improvisation, composition and accompanying skills. Students will be introduced to Classical, Jazz, Sacred-Hymns, Pop, Folk, Blues, Country. Studies suggest that children who are taught various art forms, including how to play a musical instrument, oftentimes make higher grades in math and science as well as the SAT. The College Board has reported some High School Seniors with musical training scored 52 points higher on the verbal portion of the SAT and 37 points higher on the math portion than students with no experience in music and/or arts. Studies also suggest that playing the piano on a regular basis helps older adults experiencing various forms of arthritis, in addition to family members with loved ones experiencing dementia, Alzheimers, etc. In addition, this article explains How Pianists Brains Are Actually Different From Everybody Else’s. I am available to teach piano and keyboard for students of all ages living in the vicinity of Emerald Isle. I’m located in Emerald Isle within walking distance of Food Lion, El Zarape Mexican Restaurant and a variety of shops located in Emerald Plantation shopping center. Lessons are given weekly and payment is expected a month in advance. A variety of instructional books and teacher-created activities are used to teach and help guide each student in his/her own way towards cultivating a love for playing the piano and in using their musical gifts in being good stewards of the skills and talents inherently gifted by GOD. Please contact me for current pricing information. To schedule a lesson please call me at (252) 354-4187.